If your crawl space is unfinished, it is likely you hesitate to go in there for any reason. Crawl spaces are dark, cramped spaces in the home that are sometimes hard to access or make use of. 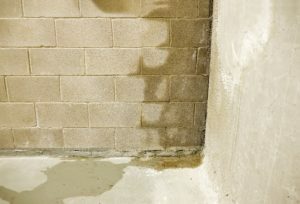 The lack of attention these spaces get is likely the reason why they are one of the most common areas where homeowners notice rodent problems and mould growth. Regularly inspecting the crawl space and keeping it clean is one way to prevent these problems, but in case you’ve already noticed mould, here are some basic facts to know about these areas, and how you can treat and prevent mould in the future. The crawl space is a shallow area underneath the home that is designed to create a foundation between the ground and the home’s foundation. This area usually offers advantages over a traditional basement, such as saving on costs, preventing infestations in termite prone areas, and more. Crawl spaces also make it easier for contractors who need to access pipes, plumbing, electrical and HVAC systems. However, the crawl space can present significant disadvantages as well. Mould, structural rot, and rodent infestations are some of these issues. Why Are Crawl Spaces Prone to Mould? Treating and preventing mould in the crawl space requires an understanding of how mould forms and spreads. Mould is a fungus that seeks opportunities to grow by spreading its spores through moist air and settling in areas where there is leaking or standing water, food, warmth, and darkness. The scary part about mould is that it only takes 24 to 48 hours for it to grow. Since the crawl space is the perfect environment for mould, combining darkness, undisturbed air, and moisture, spores can enter through vents and enjoy the organic material underneath. Here are the two major factors that contribute to mould. Building code originally required the crawl space to be ventilated using outside air. The idea behind this rule was to allow excess moisture to evaporate. However, this concept was proven problematic as the warmer air outside the home would heat up the cooler air in the crawl space causing moisture and condensation. This continuous source of moisture, humidity, and steady food from the organic building materials in the crawl space, created the perfect home for mould. The moisture that moves from the ground upward is known as rising damp. It can cause serious problems in your crawl space if it wasn’t built with a vapour barrier. The natural movement of moisture can affect the subfloor, beams, and foundation of your home, causing water to build up and potentially cause a flood in your home. This constantly wet environment can cause the wood to decay by fungus and mould, causing sagging floors, and structural damage. Matured mould tends to give off a musty, unclean smell. You may not yet see it, but that foul smell should not be ignored. The smell signals that mould is in your home, so the longer you put this off without getting help, the worse the situation will become. Once mould has grown to the point of visibility, you will notice that it looks somewhat like the buildup of dust or dirt. Small black splotches or fuzzy greenish areas mean that the mould has already spread and matured, and will only get worse if you do not act quickly. Once you see mould, you should quickly contact a flood and mould damage restoration service to have them thoroughly clean the mould and remove any traces of moisture to prevent future growth. Getting into your crawl space can be challenging, even if there is only a small area of mould. Additionally, unless you are an expert, it can be difficult to know what kind of mould is growing, and how dangerous it can be. Without the right equipment and safety precautions, you could inhale the mould spores or get them on your skin and end up very sick. Instead of dealing with crawl space mould on your own, contact the professionals and let them properly clean, dry, and secure the area to prevent mould from growing in the future. The best tip to control mould in the future is to prevent the conditions that causes mould. Controlling the moisture, preventing water from pooling anywhere, keeping the area completely dry, ensuring proper ventilation/vapour barrier, and, depending where you live, installing an industrial dehumidifier with a sump pump are all ways to prevent mould growth. If you are unsure what to do, contact your local flood damage prevention company to find out how they can help you prevent mould. If you’ve noticed mould growing or realized a foul smell coming from your crawl space, the best way for you to stop the growth and prevent it from returning is to contact the professionals. Mould travels through moist, warm air, and can attach to different substances, which is why immediate action is vital. Even if there is just a small area affected, mould spreads quickly and you cannot risk waiting for it to get worse. For quick and effective mould detection and removal, Flood Services Canada can help you. Our professionals offer a variety of services and solutions to problems related to water damage and mould growth, and we can help you settle with your insurance company to save you money. We deploy our quick-response teams to cities across the Greater Toronto Area to help homeowners save their home in emergency situations. We provide sewage, water damage, mould removal, structural drying, and food cleanup services and will use the best techniques, personnel, and equipment to ensure your home is clean, safe, and dry as soon as possible. Contact us at (416) 302-2107 to mould about our services or use our emergency hotline at (416) 999-3930 to get our rapid-response teams deployed to your location.